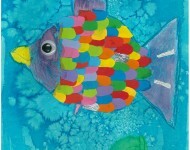 In Art this term the New Entrant / Year 1 class studied the artwork of ‘The Rainbow Fish’ in the book written by Marcus Pfister. 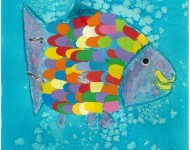 This became the inspiration for the children to create their own beautiful ‘Rainbow Fish’. The children used rock salt on wet dye to create an underwater effect for the background. They then concentrated on drawing their fish free hand which was later coloured in by using crayon on dye. 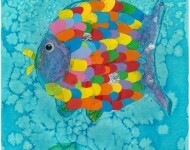 The scales were carefully collaged to complete an impressive and stunning original piece of art. Well done!